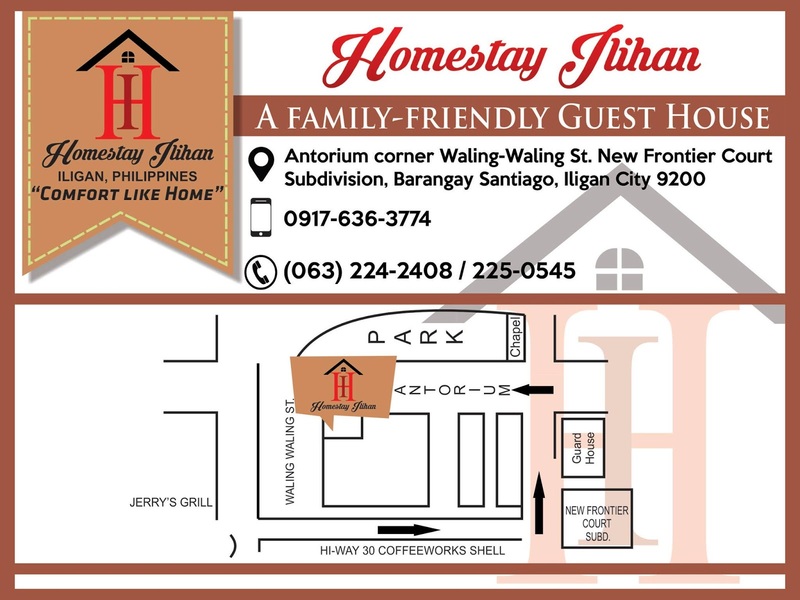 Homestay Ilihan is the newest accommodation in Iligan City located at Waling-waling Street New Frontier Subdivision. Ilihan is a higaonon word which means "a safe place." It was one of those days in our life as freelancers that we need a change of environment to be more productive, this time we chose to stay and try new accommodations in Iligan. And that is why we were here at Homestay Ilihan. Homestay ilihan is a 6 door apartment owned and managed by the Macapagal family. The locals are more familiar being calling it Macapagal Apartments than Homestay Ilihan. It is situated within a peaceful community in New Frontier Subdivision. Each unit has its own bathroom, a kitchen, dining area, and bedroom area. Each unit has it's own spacious balcony as well, where you can stay for an evening chitchat or early morning coffee. Each room was carefully designed and meticulously thought of making each corner functional and livable. The bedroom area is separated from the kitchen and dining area. The bathroom separates the kitchen and bedroom area thus having a feel of well thought of partitions. The television is wall mounted to save space, and its built-in cabinet is very spacious for your clothes and others. The women will surely love the full-length mirror at the cabinet doors. The room that we occupied can accommodate 3 persons. It has 2 beds; 1 single bed and 1 double bed. The room can accommodate more though, I think it can still fit 3 more, but you have to pay for additional beds, but you'd end up crowded. For a better stay experience, just stick with its capacity as designed. Homestay Ilihan also serves breakfast for 2 people in your accommodation. For the additional person, I think you would have to pay extra for it. During our stay, we tried some delivery services here in Iligan City. We called Jollibee delivery for our dinner and Pizzarella for our heavy midnight snacks. Hahaha oh please don't judge us hahaha. You can use the landline phone at homestay ilihan for taking orders, or you can use your mobile phones. We had a pleasant stay at homestay ilihan, the owners met with us during the day and offered to tour us around and check the other room designs. There are 2 rooms here that have 1 matrimonial bed which is pretty nice for honeymooners our couples. In your next visit to Iligan City, stay at Homestay Ilihan. It's a new place in Iligan City where you will feel comfortable and at home. If you are on a commute. From the north bus terminal or jeepney ride 07A or Tambo jeepney or any jeepney going to the city center. Tell the driver to drop you off at Coffeeworks or Gerry's Grill. You will then see tri-sikad or tricycle tell them to bring you to New Frontier, Macapagal apartments. If you are from Ozamis City (south bus terminal) drive along the Roxas Avenue until you reach Coffeeworks just after The Adventist Hospital (Sanitarium) turn left and in the fork road after coffee works turn right. Just follow the path until you reach the New Frontier signage, turn left and drive towards to the guard's house. When you reach the guard house drive straight to the chapel and turn left, drive towards the end of the park, and you'll see Homestay Ilihan at the left side. If you are from the north bus or Cagayan de Oro side, turn left when you reach the Tambo traffic light, that's the first traffic light from the north side, follow the road and look for the New Frontier signage.Turn left and drive towards to the guard's house. When you reach the guard house drive straight to the chapel and turn left, drive towards the end of the park, and you'll see Homestay Ilihan at the left side. Or you can also drive towards coffee works, turn right and another right in the fork road and follow the same directions going to the new frontier subdivision. Disclosure: This post was created in partnership with Homestay Ilihan. All opinions expressed in the post are my own and not those of Homestay Ilihan.